Communication is one of the most important things you do to keep your business going. Talking with clients, employees, vendors, collaboration meetings, file sharing… And it needs to be reliable and ready to use. We’d love to discuss your needs a provide a fun and reliable communication solution for your organization. All digital. All connected. Smart. What’s so cool about IP Phones anyway? Your desk phones plug in to your Internet connection. 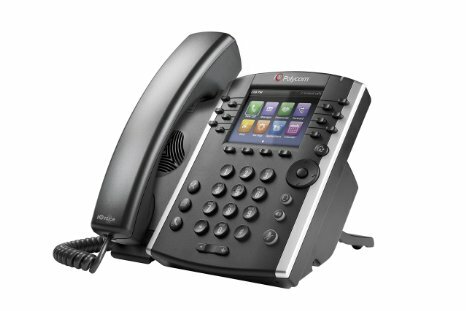 There is no more back office PBX (really expensive) phone equipment to deal with. All configuration is done in the cloud. From setting up call routing, to voicemail greetings, all at the touch of your fingers. You can easily make changes to your phone system without having to call the phone guy. Actually, that makes you the phone guy (or girl). Run your business communication systems through your cell phones. If your business is mobile then we can bring your phone bill down to about $50 per month. You still get all the great calling features but you’ll answer through your mobile phones. We love this feature! Voicemail to email, fax to email, send faxes from your inbox, extension dial to branch offices, intercom, HD video conference calling, solid Polycom phones and so much more. That’s it. There are only three cool things about a hosted VOIP solution. No, really. There are ton’s of other features. We could list all of them here but most of them you won’t use and it’ll just become clutter. Let’s talk about what you actually need and then we’ll discuss how those features can help your business. Give me 2 GB Free! Wanna know how PanTerra can help your business?